The Mets will move their Triple-A operations to Syracuse, New York, and the 51s will find a new major league partner. The New York Mets and Las Vegas 51s will go their separate ways at season’s end Monday after a six-year partnership. As far as breakups go, this one is very amicable. “(Mets chief operating officer) Jeff Wilpon was in the other day and came in and thanked me for six great years and genuinely appreciated what we did,” 51s president Don Logan said. 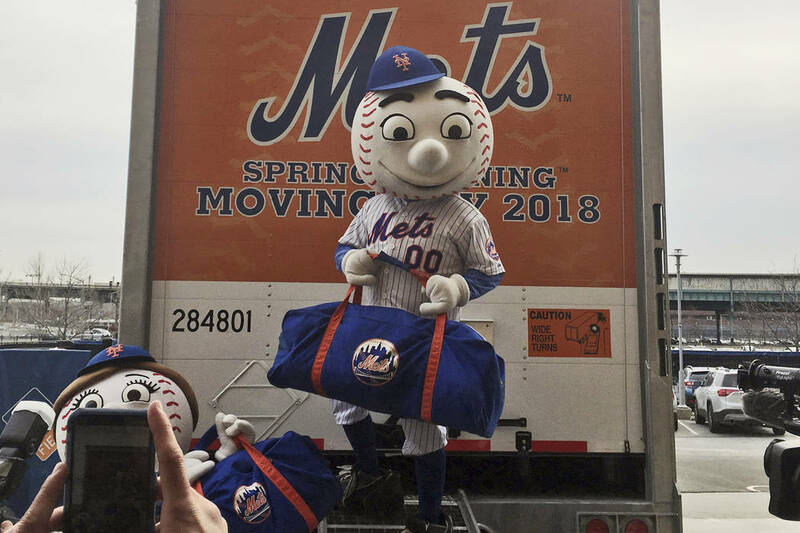 The Mets signaled their intention to leave Las Vegas in October after buying the Syracuse Chiefs but had to stay through the end of their player development contract while the Washington Nationals stayed in Syracuse, New York, through the end of their own PDC. After the season ends Monday, the Mets will shift their Triple-A operations to Syracuse and the 51s will soon be allowed to communicate with other teams to find their next major league partner. Teams can negotiate between Sept. 16-30. The geography will certainly help the Mets out in a variety of ways. Syracuse, New York, and New York City borough of Queens are about 260 miles apart. At more than 2,500 miles apart, New York to Las Vegas marked the longest distance for any major league team to their Triple-A affiliate. Despite that, manager Tony DeFrancesco said he didn’t see too many travel difficulties because of the number of flights leaving Las Vegas. While getting players places might not have been as big a problem as one might think, it certainly came into play at times, as did having them ready to play after cross-country flights and time zone jumps. Starter P.J. Conlon, who was called up by the Mets three times this season, said the difficulty often involved coming back to Las Vegas. Conlon, who was with the Dodgers organization for a few days this season in between stints with the Mets, said his Triple-A teammates there told him about how much the Dodgers shuffled players between Triple-A Oklahoma City and Double-A Tulsa with the two affiliates so close together. The Mets will now have that luxury with the Double-A Binghamton (New York) Rumble Ponies about 75 miles away from Syracuse, which could help field more competitive minor league teams. “In Triple-A, if you need pitching, a couple guys get called up and you’re short in the bullpen or short on position players, you can just easily get a Double-A guy to come up or vice versa get a Triple-A guy to go to Double-A,” Conlon said. Having the major league and top two minor league teams closer will help the Mets cut down on travel costs, and it also will help the team maintain a foothold in upstate New York. “You’re a New York team, you have a chance to play in upstate New York, try to get that area to be Met fans and people can come down to New York (City) and spend a weekend and watch a Met game and I think that’s all part of the marketing of it,” said DeFrancesco said, who is employed by the Mets along with the rest of the coaching and training staff. The 51s made the playoffs in both 2013 and 2014 while affiliated with the Mets, and players like Noah Syndergaard, Jacob deGrom and Zack Wheeler were among those who rolled through Las Vegas. And though the recent teams haven’t had as much success, the relationship has remained strong.